Utilizing our diverse services to produce and create a police recruiting video is exactly what the Chino Police Department had in mind. The photography and video work Epic Productions produced features real officers, real scenarios, and everything a future candidate would need to know upon moving forward. This police recruiting video was produced to showcase the benefits, amazing tools and facilities your department offers. Most importantly, showcasing the camaraderie that can only be expressed through the power of video and custom photography. Through video, you’re able to tell your story. Did you know that the average attention span is 2.8 to 8 seconds on average? With that being said, the dominance of a video is endless. Your presence at a job fair or trade show needs to be professional and reflect the quality of the department you represent as well as target any future candidates by making this opportunity a position they could see themselves in. Epic helps make that happen with custom banners and backgrounds, designed to catch the eye and motivate your next hire. The Chino Police Department employs highly motivated and well-trained professionals who are committed to providing quality service to those who reside, visit or do business in Chino. 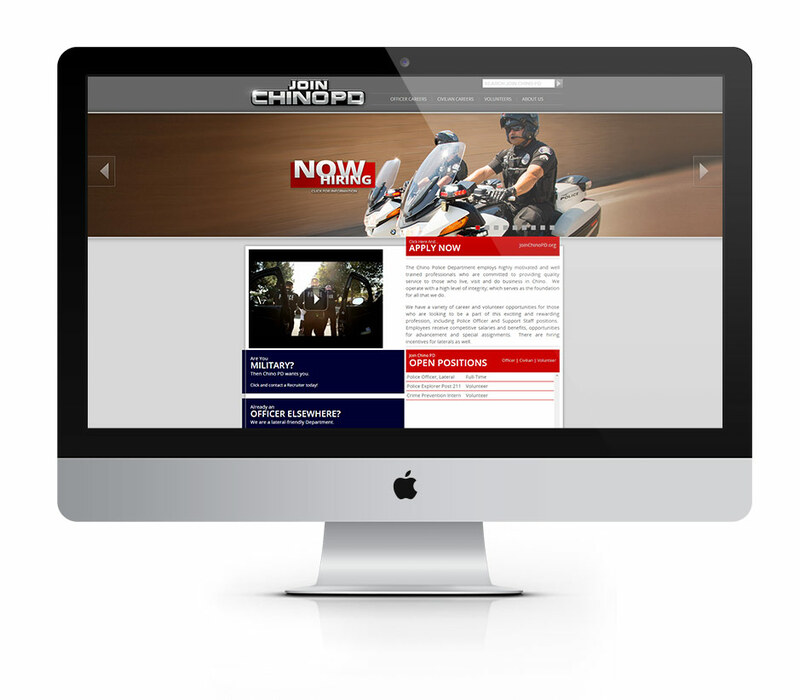 We implemented everything Chino Police Department showcased and everything they stand for. A recruitment video is worth one thousand words and will engage as well as educate your potential new hire. Not only video, but the website they will be visiting after viewing your recruitment video. Here at Epic, we’ll go above and beyond to produce a selling video while gathering content that will be placed on your website. From the professional photography to the flawless website content, we operate with a high level of integrity; which serves as the foundation for all that we do. For more information about Police Recruiting, check out our sister company.